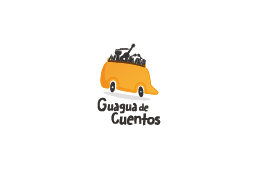 La Guagua de Cuentos is an artistic project that combines storytelling in Spanish, English and German and original music, taking it to audiences of all ages, in an international enviroent. We came from far away, but we started our artistic journey in Bremen, Germany. Thanks to body languague, songs and multilingual storytelling, we have shared for a long time our stories and music with people from all over the world.